This entry was posted in Arriva The Shires, Buses, Daily Life, MK Metro, Mobile Blogging, Whoops Files, Work. Bookmark the permalink. 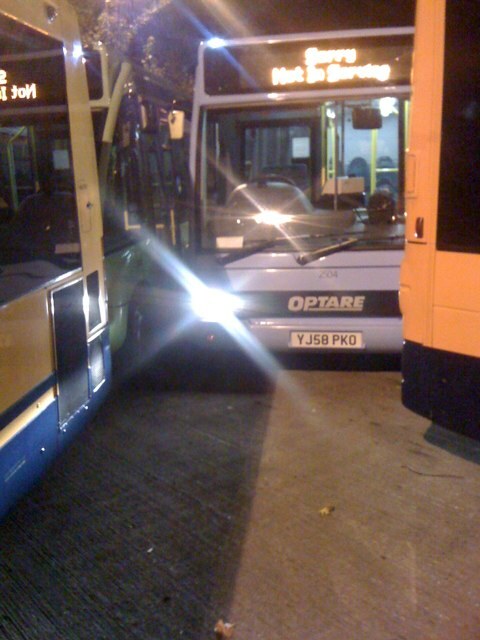 I think James was told to got out in a certain bus, which then turned out to be blocked in at the back of the depot. It’s Metro’s new way of allocating buses. From the back of the yard first. What makes this allocation choice even more scary is that it was a 2 bus actually being allocated to a 2.